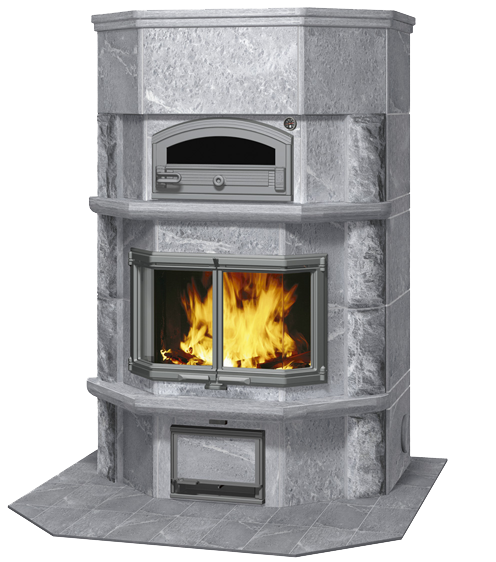 Tulikivi’s top of the line fireplace/bakeoven. No wasted floorspace. It can heat large spaces and bake from dawn till dusk. The versatile oven can be fired with wood in the firebox or in the bakeoven.